Desserts are always loved by girls and children. The dessert kiosk are mainly located in the center of the mall or on the bustling pedestrian street. 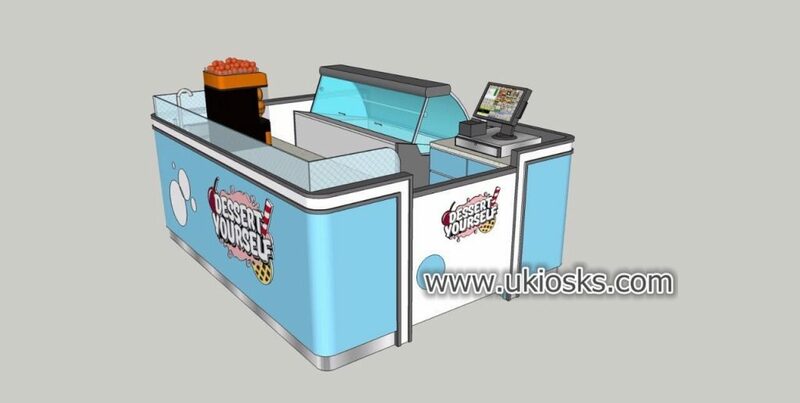 In this article I want to introduce a very small dessert kiosk that is popular in the UK. 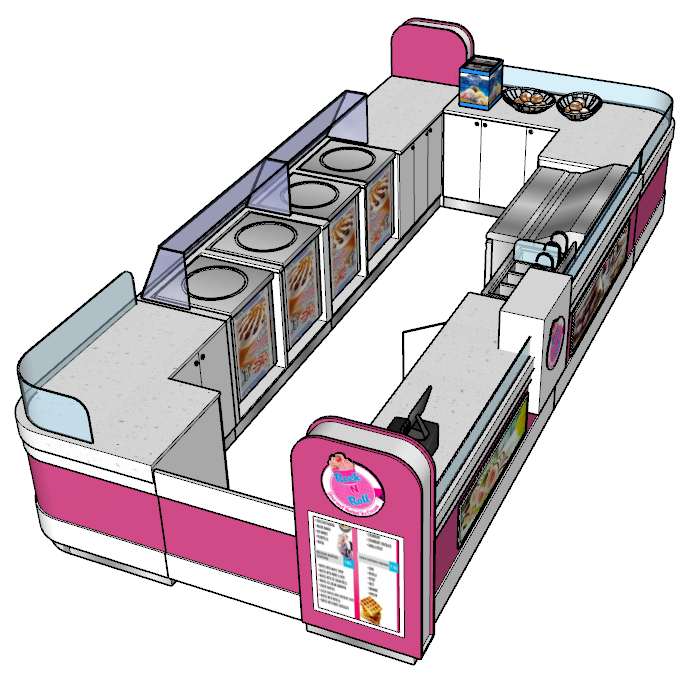 If you are interested in starting your own food business, please take a few minutes to follow me for more details . 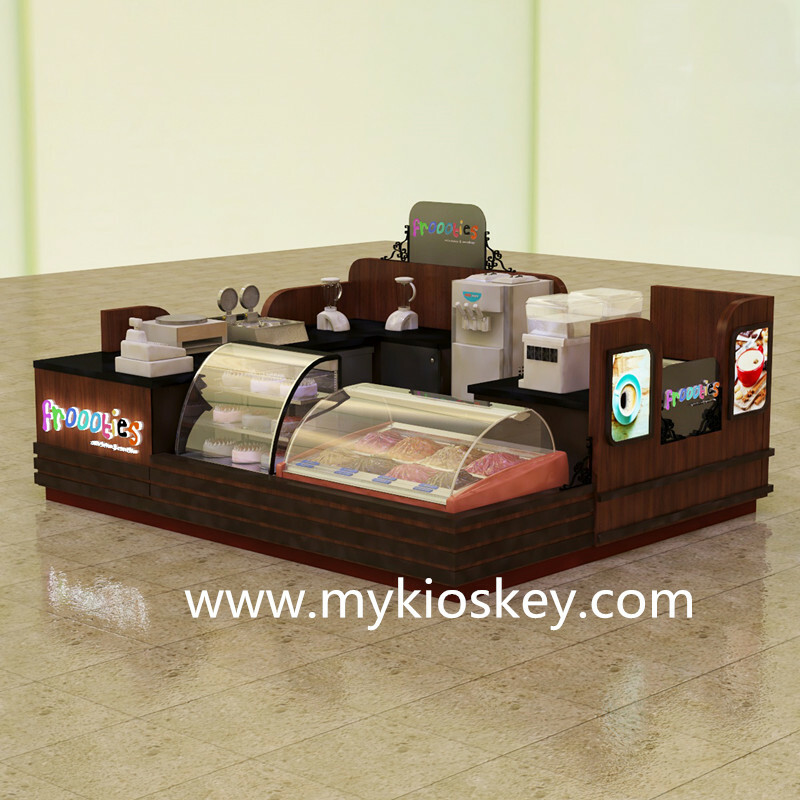 Basic information : you can see whole kiosk mainly tone is white and blue , very simple and Mini . 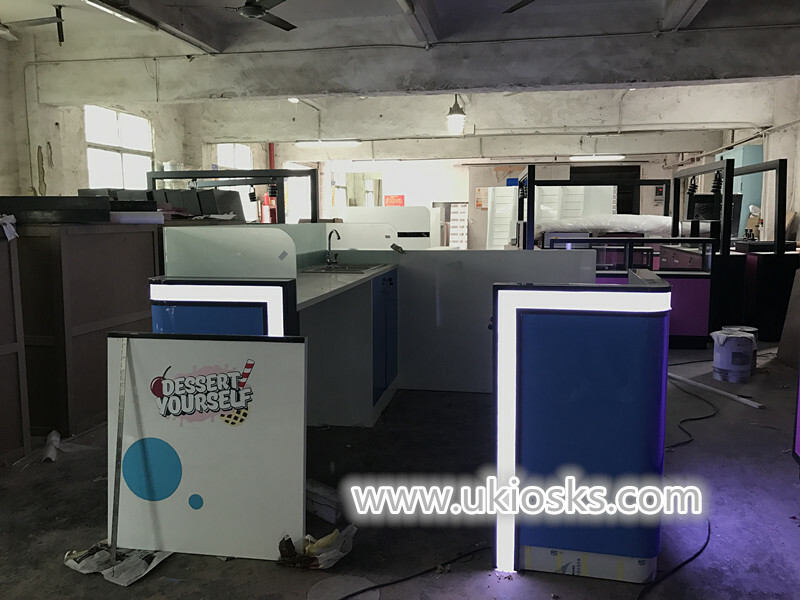 total size is 2m by 2m , basic material is MDF , surface is baking painting finished , white man made stone worktop, wooden cabinet for storage , stainless steel skirting . 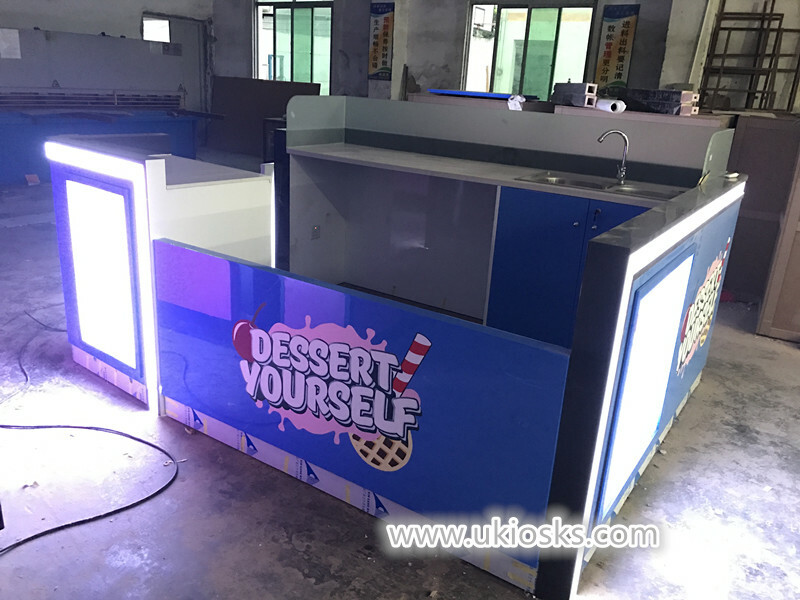 The front of this kiosk is a big dessert display fridge , Right next to it a cashier , the back sides is wooden counter top can put some machine . install a single stainless steel sink . surface with many color sticker logo and light box menu list . very nice and bright . 2) plywood for basic material , surface is laminate finished . 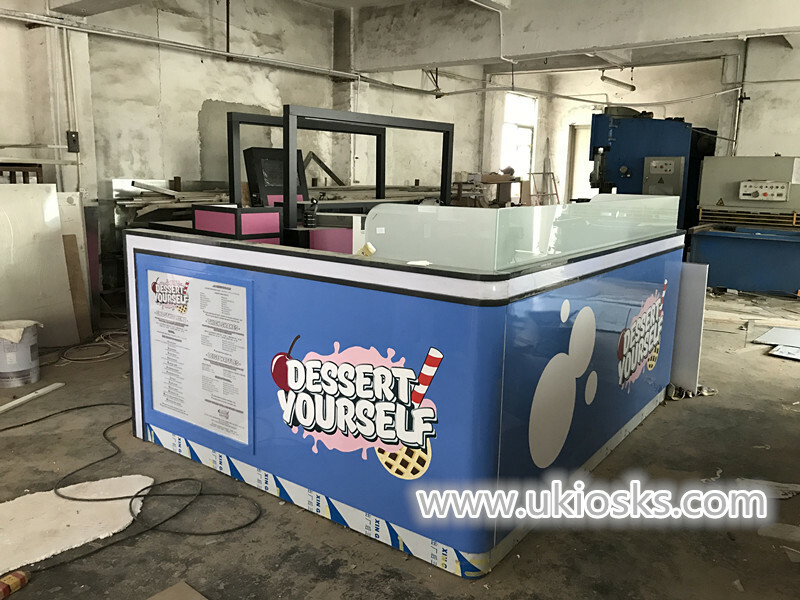 whole kiosk will be more waterproof , High surface hardness, not easy to scratch.But the only drawback is that there are gaps in the surface. 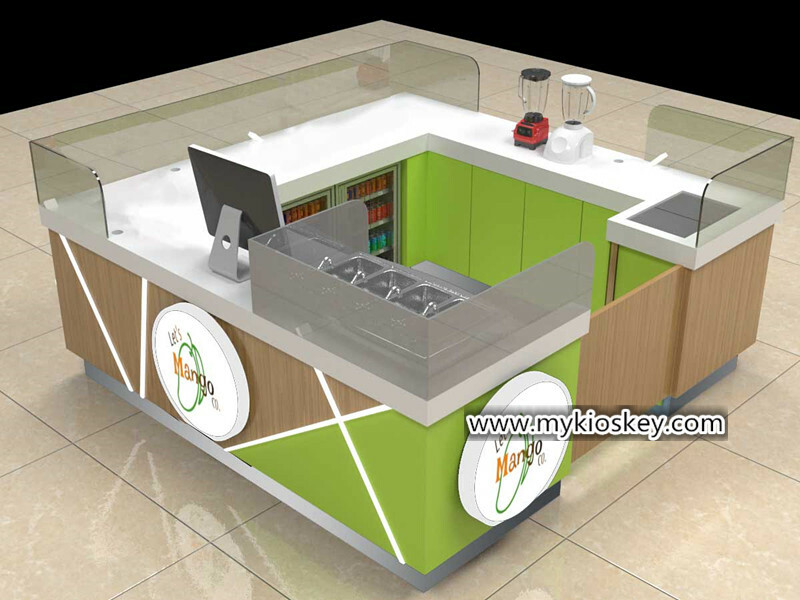 4) corian counter . 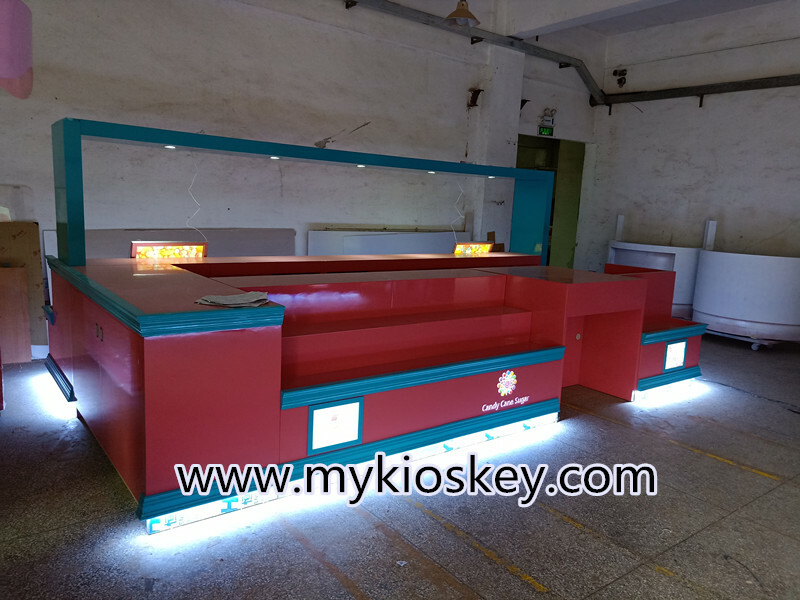 i think choose corian for countertop is better , stone folding resistance, pressure resistance, permeability resistance and other functions, and its wear resistance, acid resistance, high temperature resistance ability is also very strong. In addition. 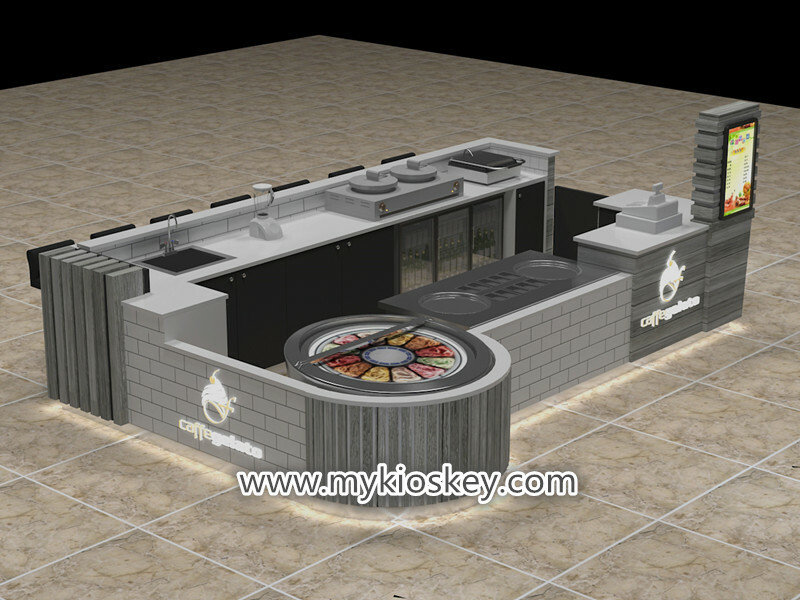 Artificial stone counter design and color variety is complete, rich, can be formed as a whole, but also repeated grinding innovation . It can be bonded seamlessly at any length without any trace of adhesion . Easy to clean, with a strong anti – fouling force . 4. 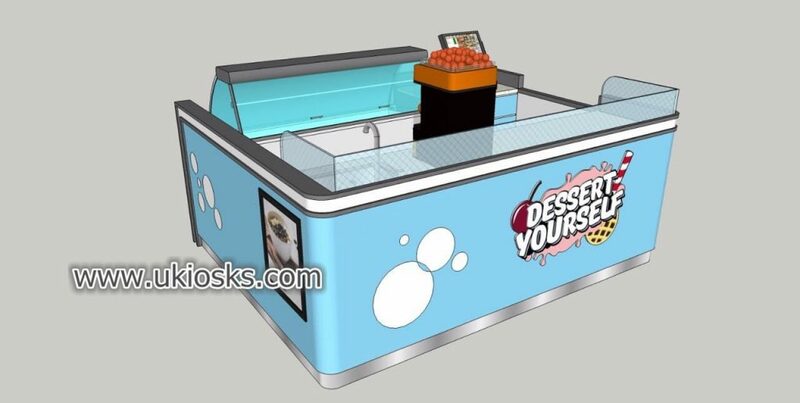 How can i customized a dessert kiosk like this one ? ２. 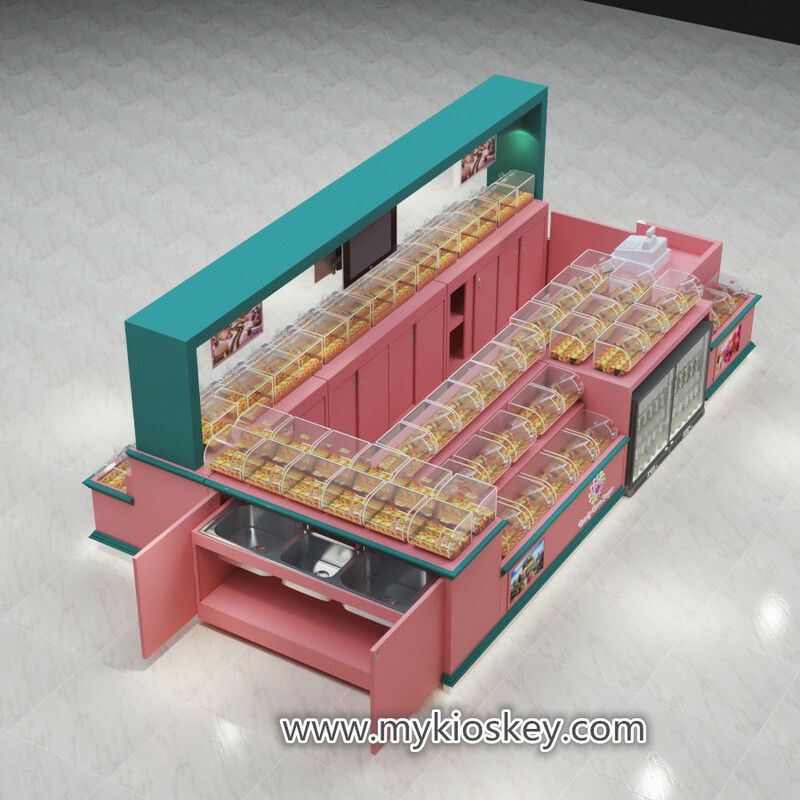 Rent a store or a lease in shopping mall , but need sure the location environment , Bustling, with enough people flow . 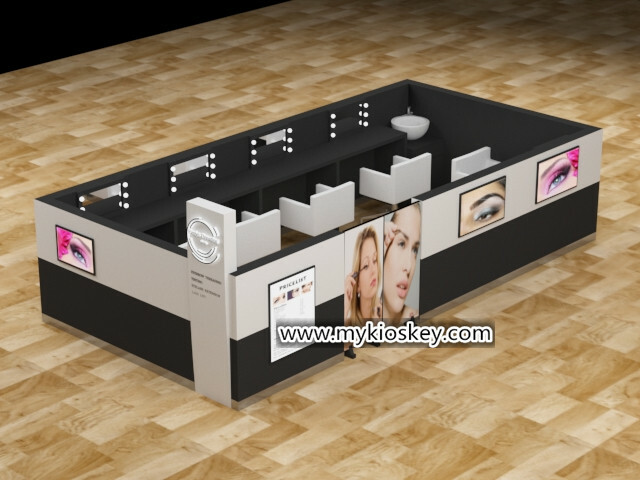 If you have your own storefront, then you can decide all the details on your own. 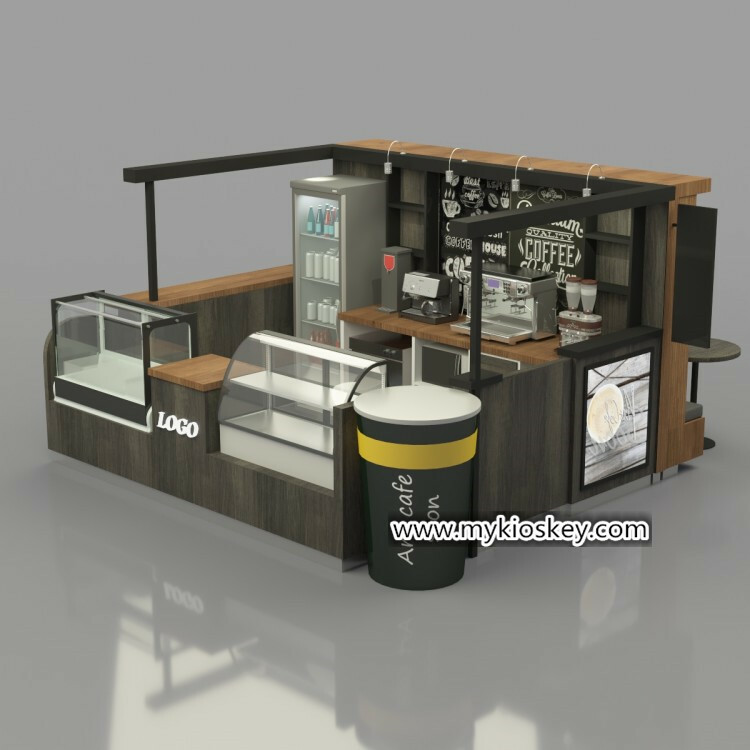 On the contrary, if it is used in the shopping mall, it must meet the criteria of the shopping mall , ( usually mall criteria mainly for material, height and electrical wire safety , if your design team enough professional and experience , it’s Easy to approve）. 3 . 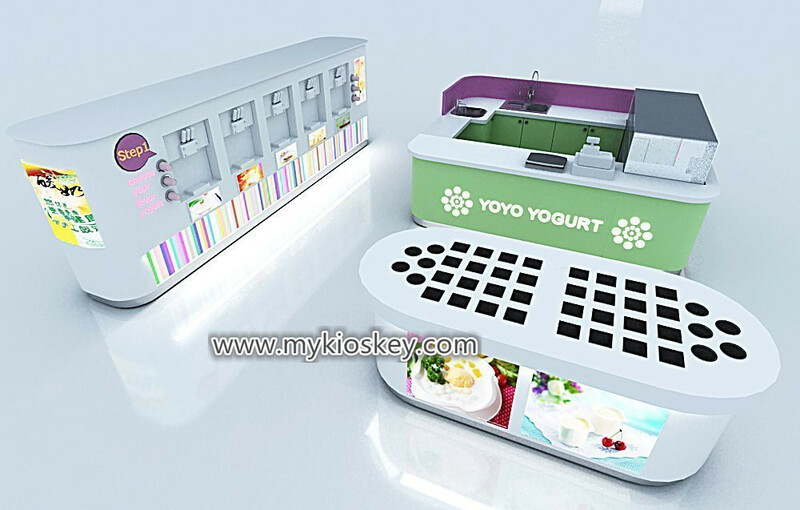 Find a direct supplier make a 3d design and drawings . 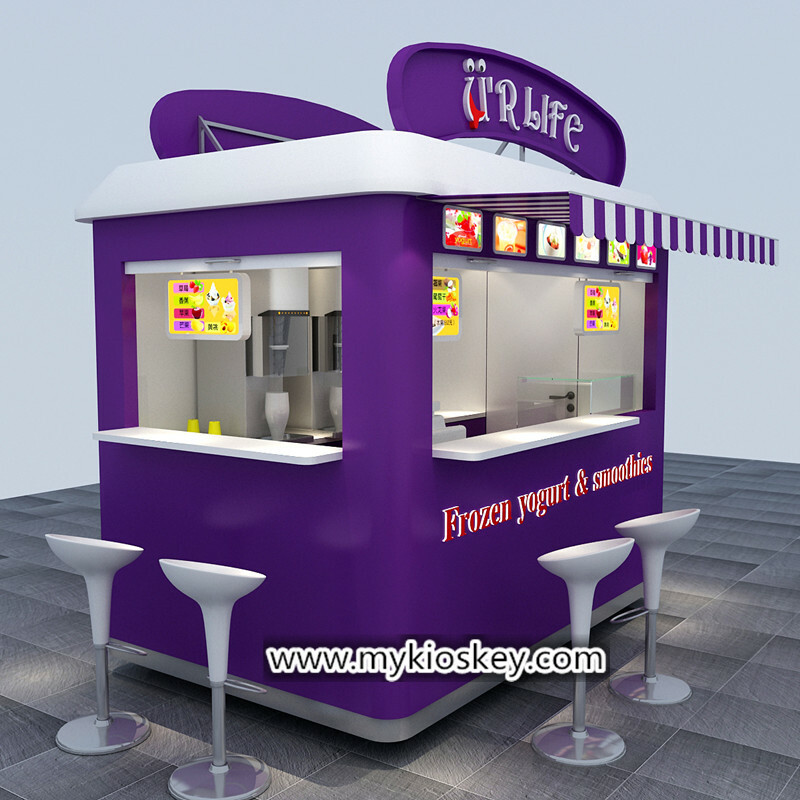 — as a direct supplier, before desiging we will confirmed the shop layout , style , color match , material request etc . also can give you some professional advice . 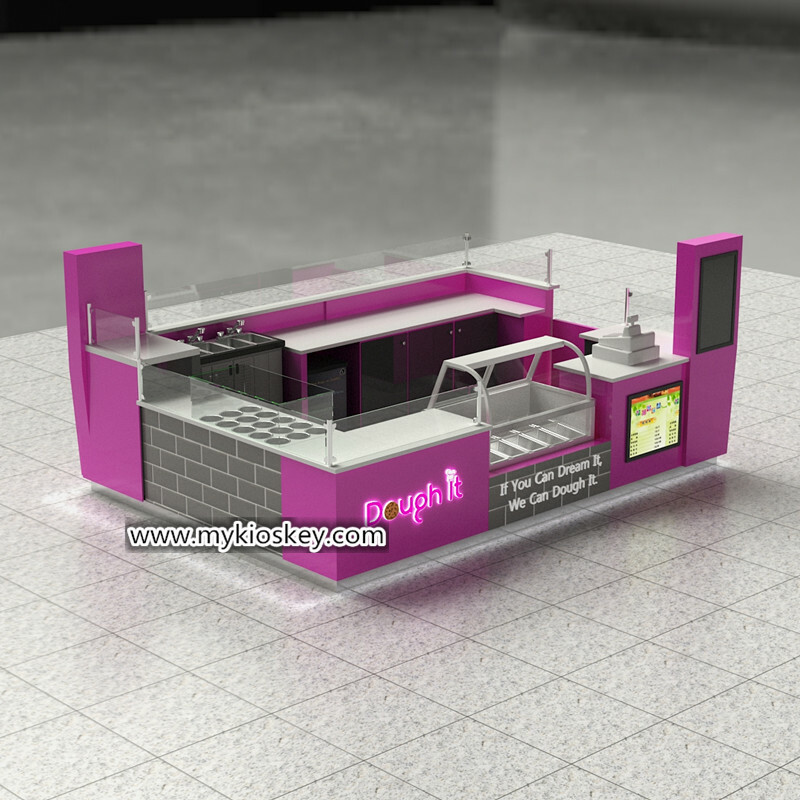 then we will start design and put all of your ideas on it . confirmed the design and start make drawings . ( you can see all details here , with each part size material and surface finished details ,will according to the drawins production ) . 4. 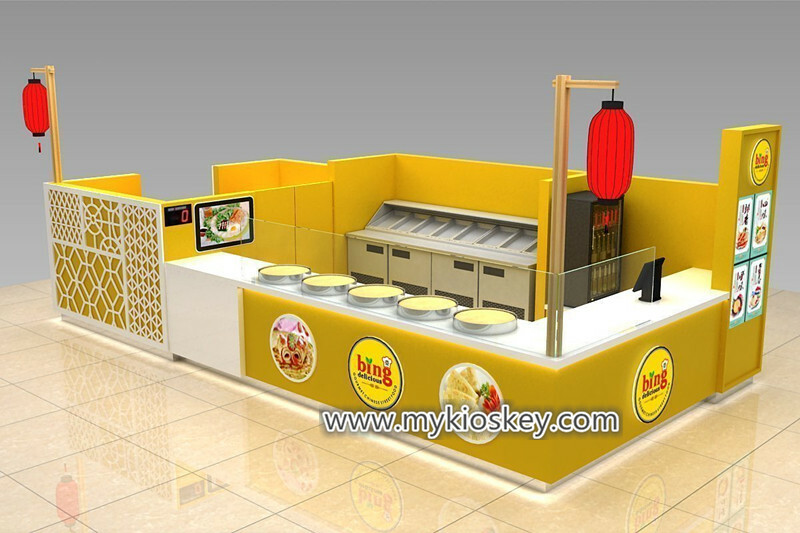 Install whole shop and start operating , You can hire several people help you if the shop enough big . 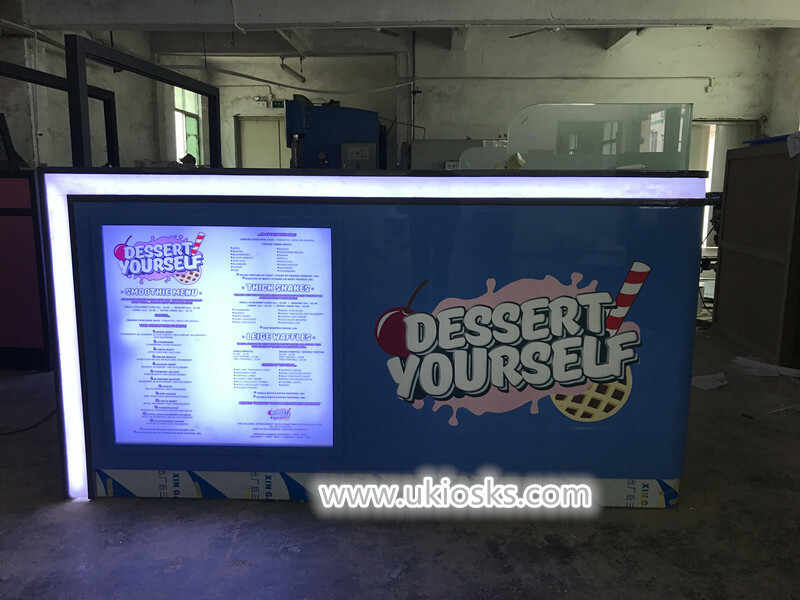 Thanks for your time and reading , if you need more further info about this dessert kiosk , pls feel free to contact us , thank you !